Colleen Riley. Tumblers, 2016. 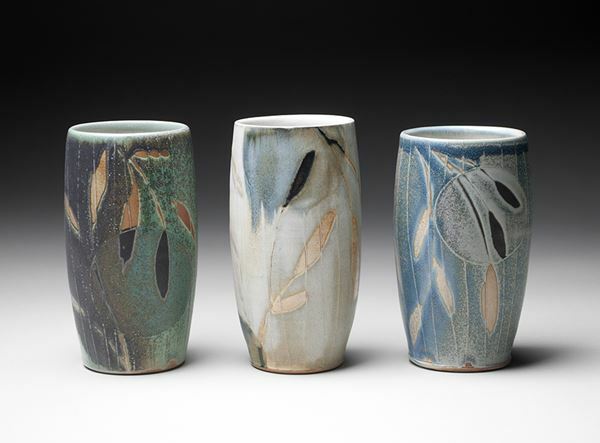 Soda fired stoneware, wax resist design.